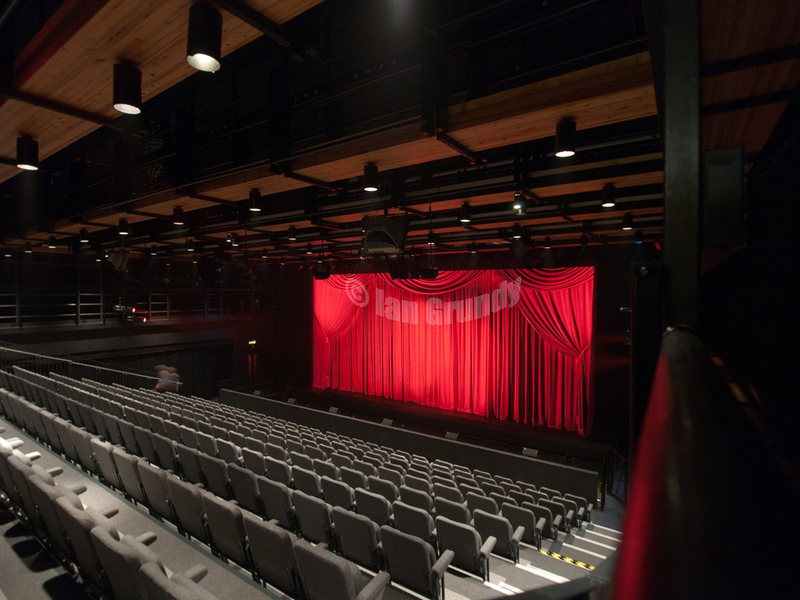 Push The Button worked with Theatre Projects on a performance specification to provide an ETC Sensor Dimming replacement to the ageing legacy Strand LD90 Dimmers, together with a comprehensive LED working light and house lighting system. As this is a Grade II listed building, considerable work was undertaken to ensure that Historic England were happy with the retrofitting of new technology into the existing fittings. All of the fluorescent lighting was removed and replaced with Linear LED alternatives in IP rated enclosures. All of the emergency fittings were fitted with a localised changeover device to ensure they provide 100% output on power failure. Emergency systems were provided by Powervamp. Other work included changing all of the production lighting outlets to 16 amp and relocating certain trunking units to prevent the deeper 16 amp sockets impeding on tight walkways and catwalks. The project was completed during the summer shutdown for the GSMD and works were completed on time and on budget.